The Reactor Physics Division (RPD) of the American Nuclear Society has a strong history and success in meeting some of the greatest technological needs in the energy world. This has lead to nuclear power representing approximately 20% of the nation’s power. The RPD group is one of the primary groups in the continued safe use of this power. 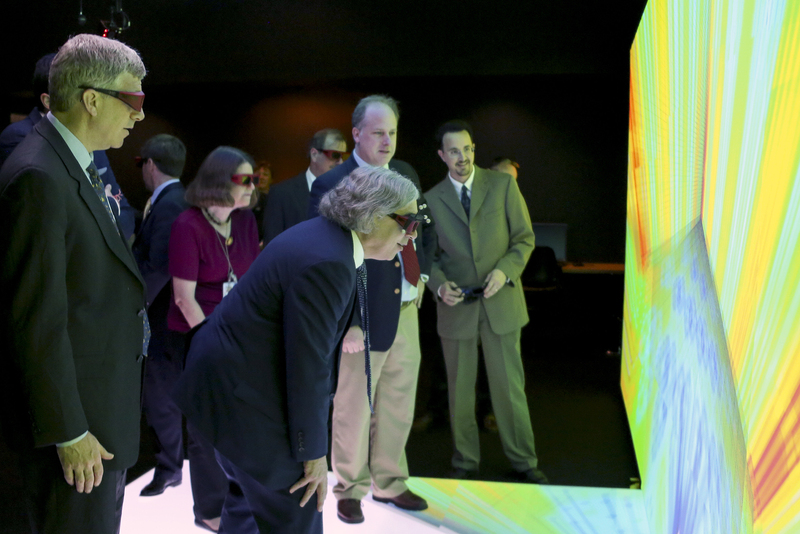 The time is now for a re-invigoration of nation’s technical leaders to drive nuclear technology toward new heights. The Grand Challenges issues by the RPD highlight some of the most important issues which need to be addressed with novel solutions. The solutions to these challenges will ensure nuclear power remains an important part of the nation’s energy mix for many years to come. Submissions by Members. Solutions by Members. Its Time To Answer The Call. Develop and generalize the use of advanced modeling & simulation methods and tools useful to the entire community. 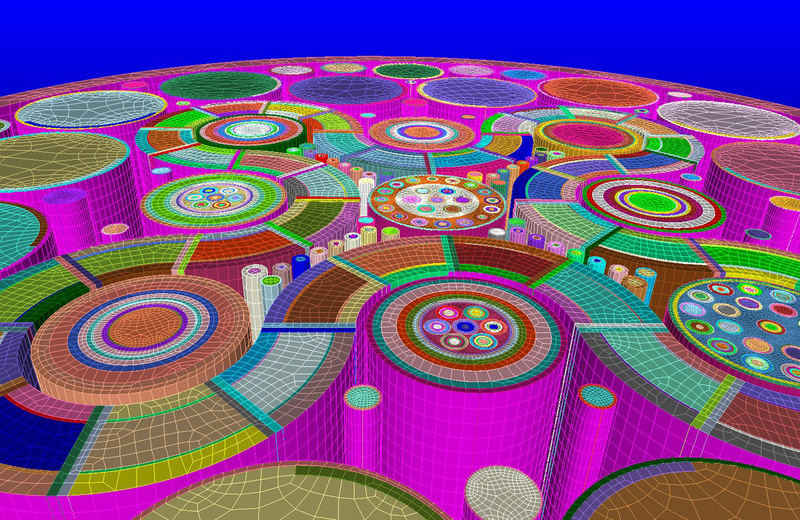 With the rise of computing power and the ease of access to those resources, modeling and simulation (M&S) is bound to play an increasingly important role in the future of nuclear energy. Advanced M&S methods and tools are essential to understanding phenomena previously poorly explained, reducing uncertainties in a number of areas, and facilitating development of advanced NPP. High fidelity tools can in some cases be used instead of designing and running expensive experiments, making it possible to have results in a much faster and less expensive way than what is currently being done. Those tools will help palliate the lack of data in certain domains. Advanced tools should be able to accurately model complex systems, as well as be able to model an entire power plant in order to provide comprehensive results. A part of developing advanced M&S methods and tools, a new Verification and Validation strategy will need to be developed in order to reflect the increased reliance on those tools. Develop a clear strategy, based on technical considerations, regarding management of nuclear used fuel (and other nuclear wastes). 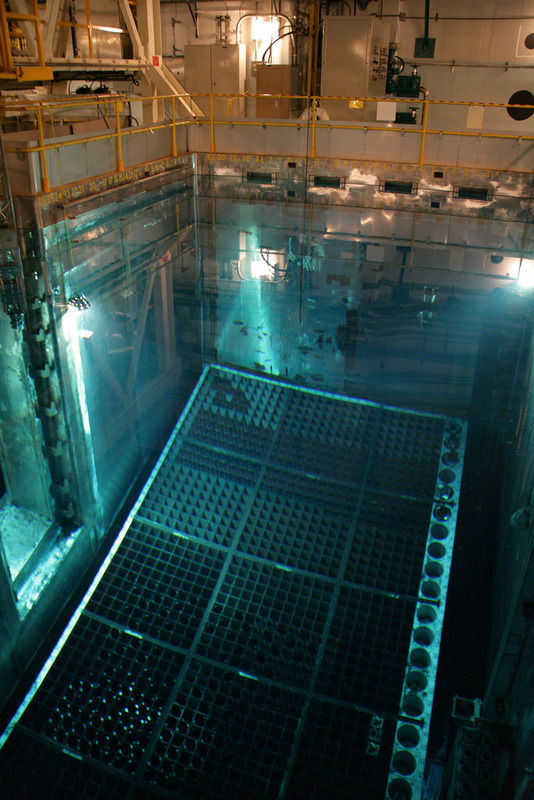 The two main options for dealing with nuclear used fuels are well known to be storing it in a repository, or using it in nuclear reactors (existing or future). As we keep delaying a decision with respect to this topic, we continue to generate more used fuel every day. The large amount of used fuel generated is directly related to the fuel burnup our current reactors are operating at. This issue cannot be delayed any longer, and a clear strategy based on technical considerations needs to be developed. It should also take into consideration the potential benefits for the public as well as for the nuclear industry, and should not be bounded by present policies. At the very least, special considerations should be made regarding minimizing the amount of nuclear used fuel from now on. There are several ways to tackle this objective, such as increasing fuel enrichment to achieve higher burnups in existing reactors, deploy new reactors able to make efficient use of the nuclear fuel, and/or closing the nuclear fuel cycle. Overcoming the barriers preventing deployment of advanced nuclear reactors and their associated fuel cycle in the near future, as well as allowing for improving advanced reactor technologies in the longer term. Advanced reactors have been around since the early age of nuclear energy, but they are yet to become the backbone of our commercial NPP. Several of the advanced reactors types are considered as benefiting from a “mature-enough” technology basis which would warrant commercial deployment of those reactor types. However, despite that they still are not being considered for commercial deployment, partly due to their economics and the lack of monetizing their intrinsic benefits (passive safety, higher resource utilization, lower nuclear waste production, reduced EPZ…). In order to take advantage of the intrinsic benefits of advanced reactors, a clear path forward should be established, identifying key technical aspects that would facilitate deploying advanced nuclear reactors, or which would made those reactor more attractive (e.g. improved economics). Deployment of advanced reactors in the short term is essential in order to start replacing the large number of PWRs nearing the end of life. However, the path forward should also take into consideration the need for further advancing a number of advanced reactor technologies and the required testing capabilities (e.g. irradiation). Continuous advancement of nuclear technology is essential for any reactor type and such as been the case for LWR technologies which have been continuously improved over the past 40 years. Resume, encourage and enable Innovation in the field of nuclear energy. This includes innovation at different levels, from the design stage to the building and operation of NPP, including homogenized standards and access to existing data (nuclear and operating). Major innovation will enable changing the paradigm, improving NPP economics, flexibility and schedule. Revisit the “business as usual” approach. Leverage cross-disciplinary efforts, increase public acceptance, seek new funding modes for new nuclear technologies, and understand the shift in mission objectives induced by other energy technologies; for instance load-following needs, integration with renewables, and integration with future smart electrical grids. Improve performance of existing and future reactors. The idea is not just to improve performance, but also to identify what is needed to improve performance and make it possible. For instance, by enabling higher enrichment levels, reaching higher burnups, or by developing advanced materials capable of sustaining more extreme conditions (radiation, chemical, mechanical). Need a way to get involved?